The above prices are subject to an additional $370 for taxes/fees levied on flights that occur as part of the tour. The internal airfares ARE included (any exceptions are listed in red below), but we list the taxes separately on your invoice as they are beyond our control and can change at any time. Optional Single Supplement: $1698 USD (number of singles limited). This tour may require a mandatory single supplement charge of $855 if you join our share program and we are unable to pair you. 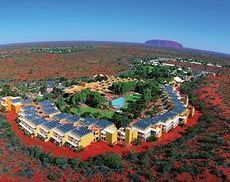 This is an excellent alternative to our much longer combination of Australia & New Zealand tour, covering the main highlights of both in an efficient, well-paced and affordable package. 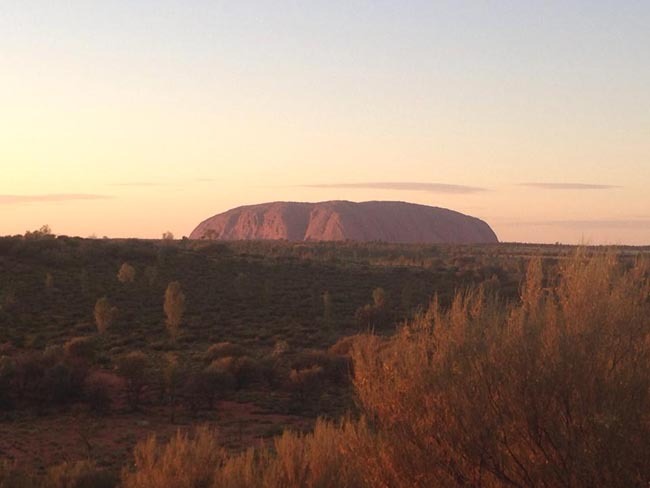 The highlights were: Uluru and Alice Springs, great tour of Sydney, and I loved Queenstown. All guides were knowledgeable and friendly. Great restaurants chosen. Our tour leader was knowledgeable, friendly, considerate and patient. Hotels were very good. A trip of a lifetime! So very glad I took it! 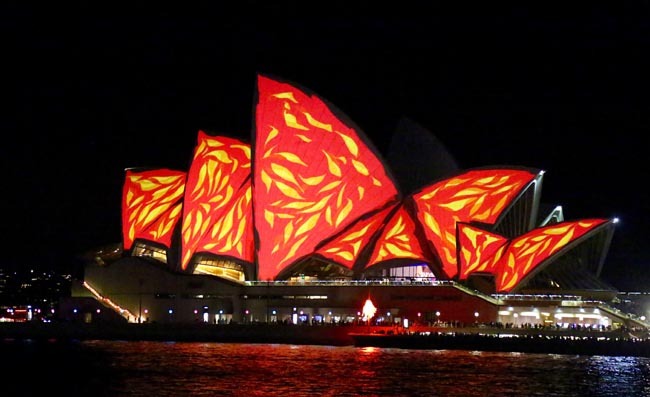 Today we arrive in Sydney, New South Wales. Today we tour Sydney. 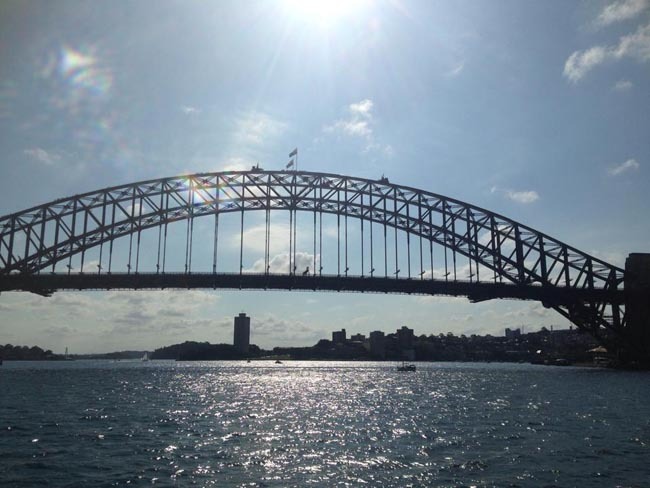 We include a cruise on Port Jackson, Sydney's harbour, much like Captain Cook once did many years ago. 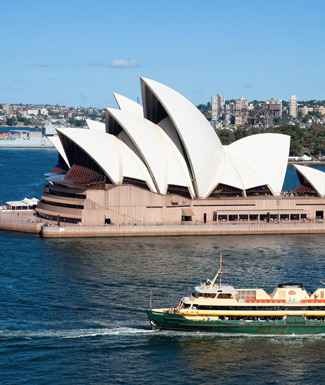 Sydney is regarded as having one of the finest harbours in the world. The odd thing is that when the British explorer Captain James Cook sailed up the east coast of Australia in 1770 he missed it altogether. 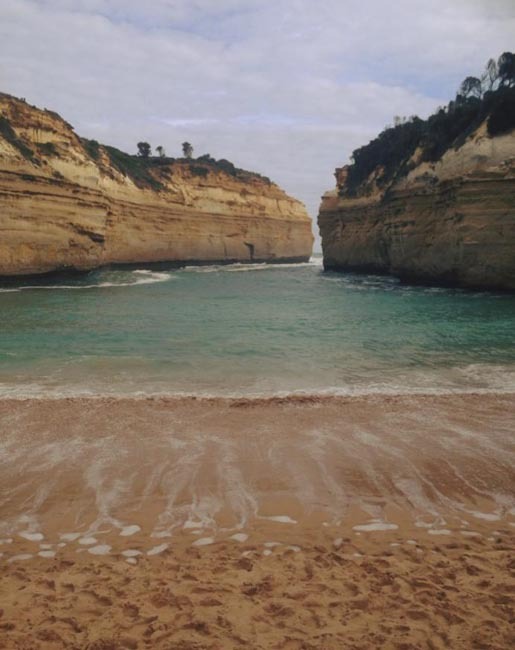 He saw the Sydney Heads, of course, but did not guess that a vast harbour lay behind them. So when a British fleet arrived to establish a colony in Australia in 1788 it went first to nearby Botany Bay. Within days, however, Sydney Harbour was discovered and the settlement moved there. We pass the world-famous Sydney Harbour Bridge, the Sydney Opera House, various sandy white beaches, and the exclusive homes that line Sydney's harbour on our way to the Pacific gateway. The Harbour Bridge spans one of the most narrow inlets of the harbour and is one of the largest arch bridges in the world. The bridge is affectionately known as "the Coathanger." 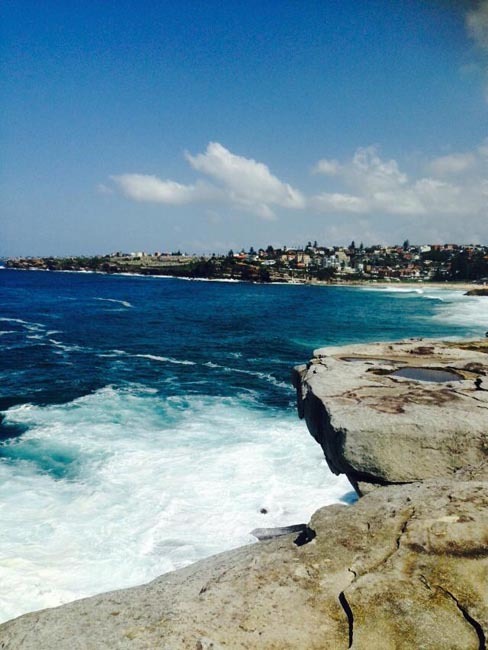 Our tour also takes us to Bondi Beach, Paddington, Oxford Street, and King's Cross. This morning we drive by coach westward to the Blue Mountains, named for the blue haze created by the eucalyptus oil in the air above the mountain gum forests. 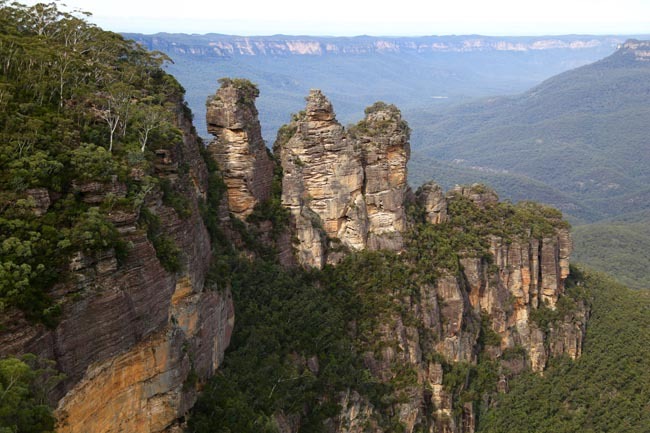 The Blue Mountains National Park includes almost 600,000 acres of sandstone plateau, forested river valleys and deep gorges. We'll visit the Wentworth Falls Reserve for a short walk and spectacular views of the valley, followed by a drive along Cliff Drive to the Echo Point Visitor Information Center where we will see colourful parrots, lorikeets and rosellas, which gather at the center's panaramic windows. 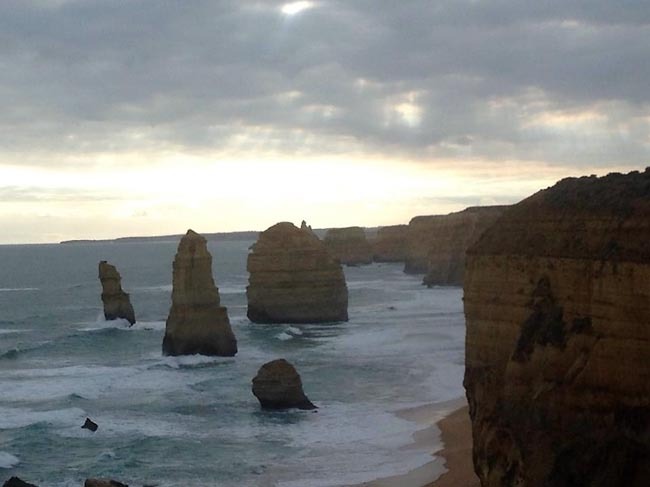 There is a nice view here of The Three Sisters formation, in legend members of the Katoomba tribe who were unlucky in love. 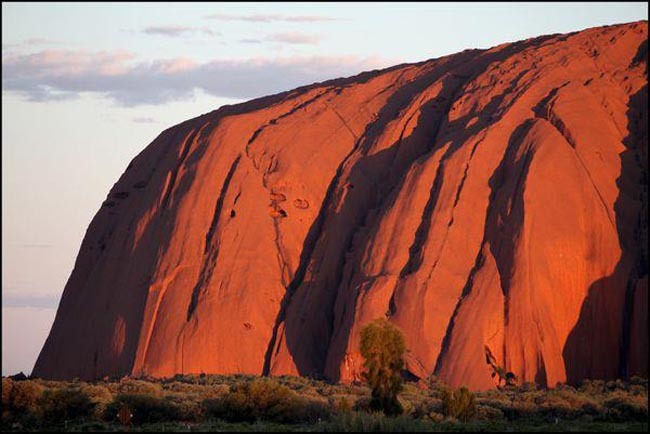 Today we fly to Uluru (Ayer's Rock), located in the centre of the continent. 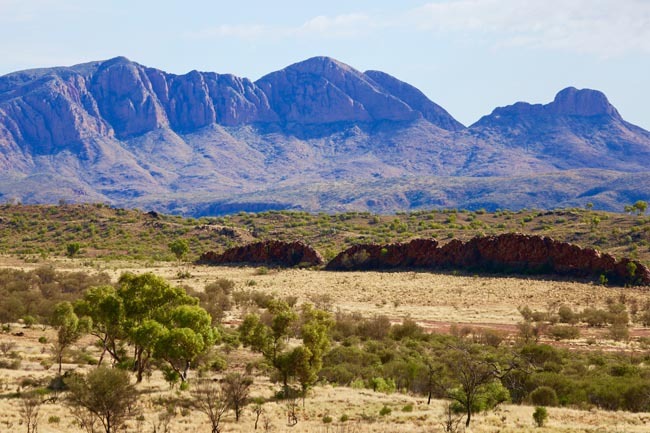 Today we travel over the Macdonnell Ranges to Alice Springs, located at almost the exact geographical centre of Australia. Many Aboriginals work as stockmen on the vast stations in this area, and reminders of their rich heritage are everywhere. Wild camels roam throughout the region, and the dry red earth and deep blue sky create a surreal atmosphere. Neville Shute wrote a famous novel, A Town Like Alice, in 1950. 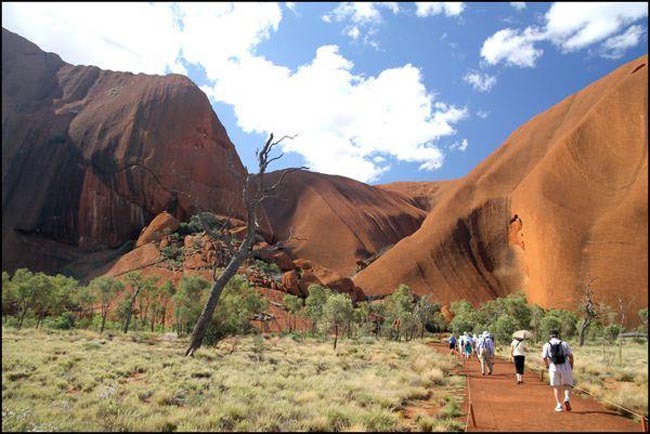 That book and the movie based on it put Alice Springs on the international map for the first time, but it was many more years before it began attracting tourists in telegraph station here after his wife, Alice, and the town which later grew up nearby took the same name. This evening we enjoy a typical outback meal at a local restaurant. 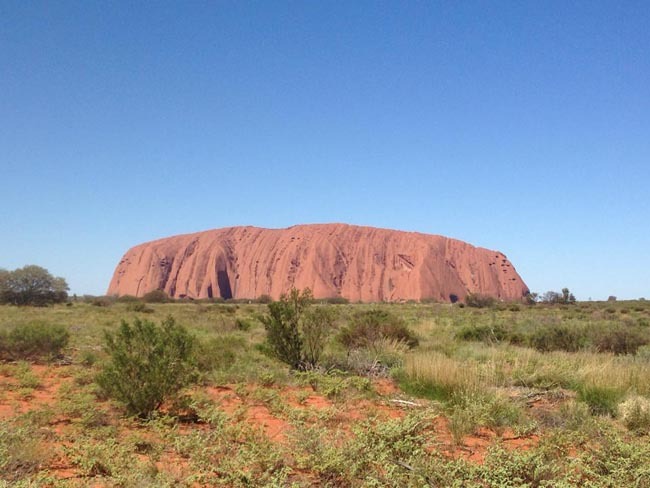 Today we fly from Alice Springs to Cairns, Queensland. 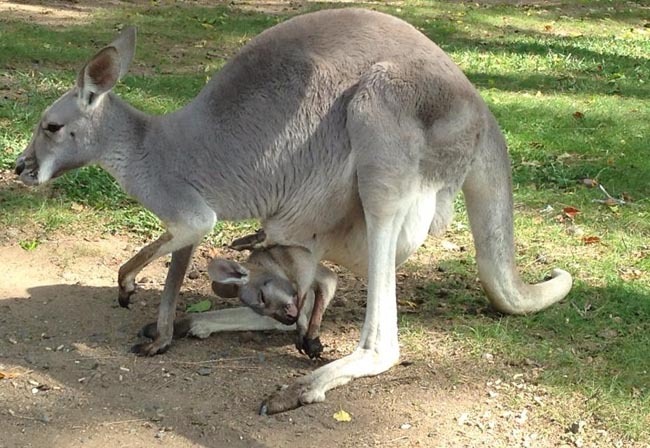 Queensland is huge -- at about 1 745 000 sq km (667,000 square miles), the second largest state (Western Australia is the biggest) and more than twice the size of Texas. 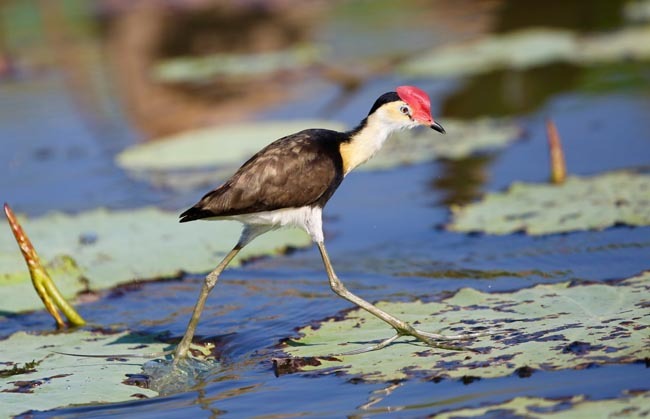 Taking the Cape York Peninsula and the Gulf of Carpentaria into account, it has an enormous coastline over 7500 km (4,590 miles). Queensland started out as part of New South Wales, used as a penal colony starting in 1824. An influx of free settlers, many who entered illegally, changed its face from prison to agricultural centre. In 1842 it was officially opened to free settlement and, by 1859, the population was large enough to justify its status as a separate colony. 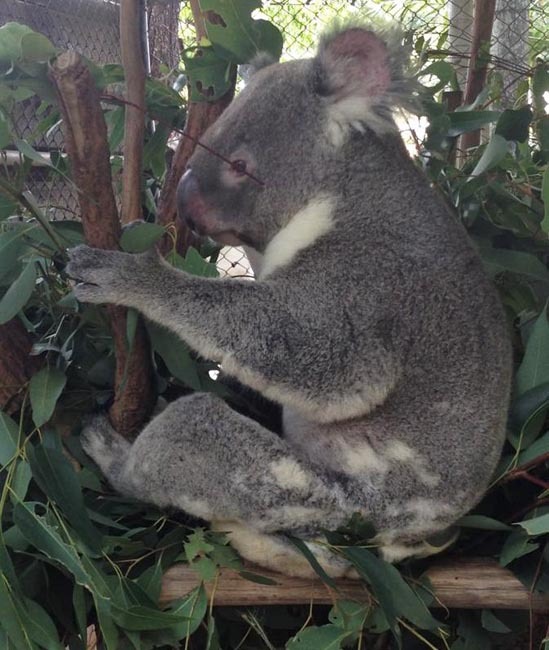 The settlers made their way with sheep, cattle, wheat, an abundance of natural resources and cash crops --including bananas, which gave rise to the rather derisive name the rest of Australia sometimes uses for Queensland natives: "Banana benders". As flight times can vary, our day is somewhat open-ended, with opportunities for sightseeing and free time in either location. Today we enjoy the "Kuranda Classic Experience," whereby we experience wo of the most popular tourist attractions in the Far North Queensland. Glide above the canopy of World Heritage rainforest and learn more about this ancient ecosystem with Skyrail Rainforest Cableway. Your Skyrail experience should take approximately 1½ hours and includes spending time at the two rainforest mid-stations. 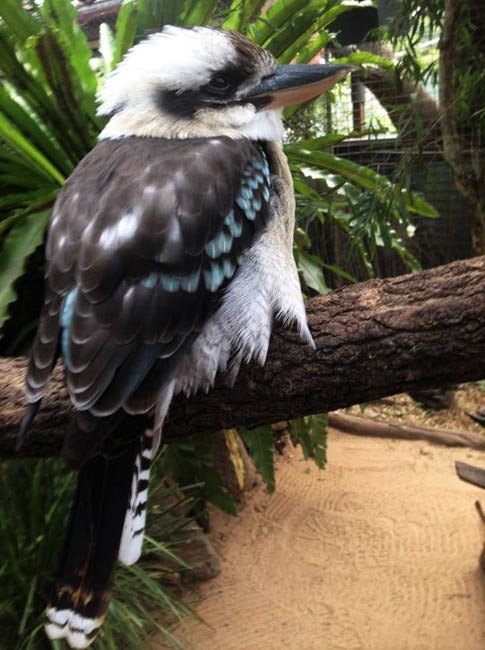 Allow 20 minutes for each station, to enjoy Ranger guided boardwalk tours and visit the Rainforest Interpretation Centre, lookouts and historical displays. We leisurely explore Kuranda, the famous 'village in the rainforest', before returning to Cairns aboard the historic Kuranda Scenic Railway. The famous Kuranda Scenic Railway was built over 120 years ago and winds its way through the tropical mountain ranges between Cairns and Kuranda. Today we fly to Auckland, New Zealand. Located in the northern part of New Zealand, the cosmopolitan city of Auckland is the largest metropolitan area in the country. The geographical location of Auckland is such that it lies between the Hauraki Gulf of the Pacific Ocean to the east, the low Hunua Ranges to the southeast, the Manukau Harbour to the southwest, and the Waitakere Ranges and smaller ranges to the west and northwest. 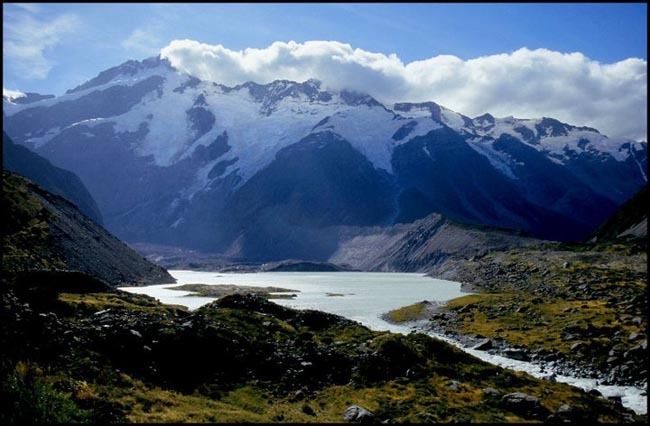 The region is also the site of Auckland Volcanic Field, comprising of around 50 volcanoes. This is perhaps the most vibrant and bustling city in New Zealand. 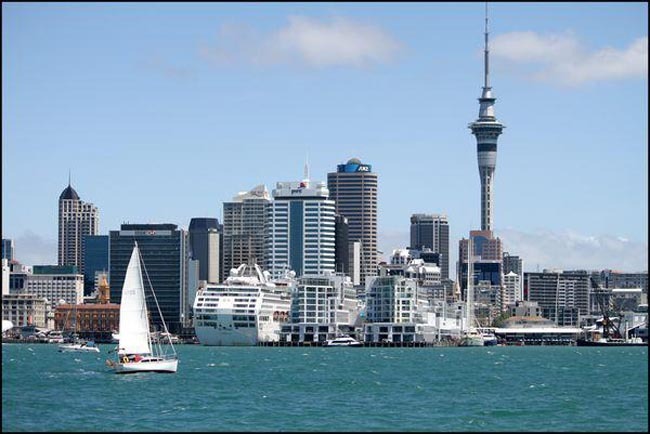 Auckland is also the biggest Polynesian city in the world, a cultural influence reflected in many different aspects of city life. This morning as we depart from Auckland we will travel to the crest of Mt Eden and enjoy a spectacular panoramic view of the city. This dormant volcano, complete with crater, allows us to clearly view Auckland's setting between two harbours. We leave the 'City of Sails' and travel south through the rich farmland of the Waikato region before arriving at the world-famous Waitomo Caves. Here we will experience a guided tour of the underground limestone caverns and glowworm caves. After this unique experience we continue on to Rotorua, an area of abundant geothermal activity. Rotorua is in the middle of what is called the Taupo Volcanic Zone, which runs from northeast to southwest across the North Island. The area has long been a popular spa area and the locals make use of the hot steam that rises to the surface for heating their homes, cooking, and building their own private hot pools. This afternoon we will visit the Te Puia Thermal Reserve and Maori Arts and Crafts Center. Here we will discover boiling pools of mud and geysers that spout up to 30m (100 feet). Today we fly to Queenstown, located on New Zealand's scenic South Island. Queenstown is situated on Lake Wakatipu and location is stunning; the lake is beautiful and the surrounding mountain scenery adds to the overall splendour. At some point in our time in Queenstown we will take a gondola ride to the top of a mountain for a panoramic view of the town. Depending on the timing of todays flight, you may have some free time in Rotorua and / or time for an orientation upon arrival in Queenstown. Today is a nicely-timed free day. Surrounded by majestic mountains and nestled on the shores of crystal clear Lake Wakatipu, Queenstown is New Zealand's premier four-season lake and alpine resort. 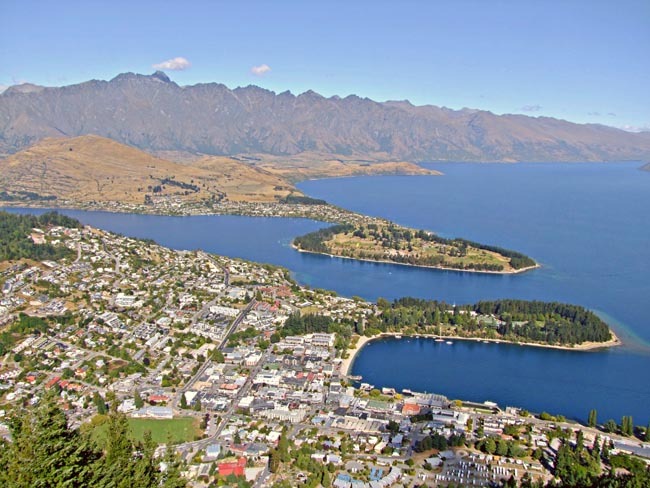 Queenstown has a compact and sophisticated downtown area tucked into a picturesque bay on the shores of Lake Wakatipu. Dwarfed by the surrounding mountains, there are amazing views from everywhere. You may choose just to relax, wander the streets, and soak up the atmosphere of the region. Or you may wish to join one of the optional excursions available (booked locally), such as a lake cruise, wine tour, jet boating, or a local garden tour. Your Tour Leader can help you plan your day. We will depart Queenstown this morning and head toward beautiful Lake Manapouri. We cruise across the lake and then travel by road over Wilmot Pass, stopping along the way to experience some of Fiordland’s densest rainforest and to view the colourful alpine moss gardens. In Doubtful Sound, we will board the spacious, purpose-built catamaran 'Patea Explorer' for a cruise through this pristine fiord. During the cruise knowledgeable and friendly nature guides will share with you their passion for the region through their commentary. 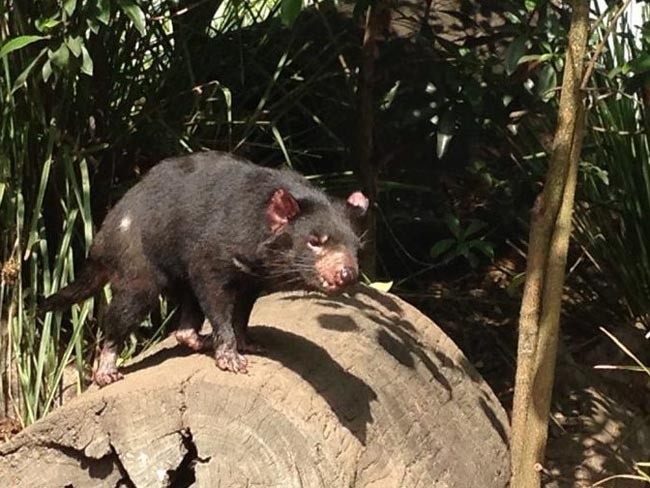 They will answer questions, point out landmarks and provide you with information about the varied wildlife you may encounter like dolphins, fur seals and the rare Fiordland crested penguin. 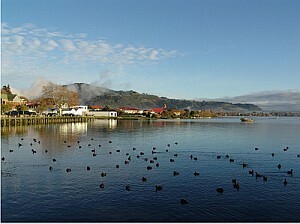 After our cruise we disembark and transfer to our hotel located in the charming lakeside town of Te Anau. Today we continue back to Queenstown, stopping en route for a cellar tour and tasting at Gibbston Valley Winery. Here we enjoy an informative explanation of the local wine making process, the various varietals grown, and a wine tasting held inside a cave! 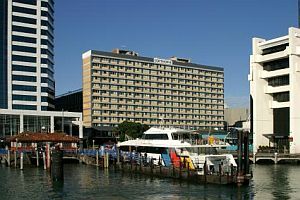 Located right on Auckland's waterfront, Copthorne Hotel Auckland HarbourCity provides quick and easy access to Auckland’s bustling Viaduct Basin, Central ...	District, shopping, bars, restaurants, harbour activities and the Vector Arena. The Sudima Hotel Lake Rotorua, previously known as the Lake Plaza Rotorua, is the largest hotel in the area and ...	a lakeside location that is second-to-none. 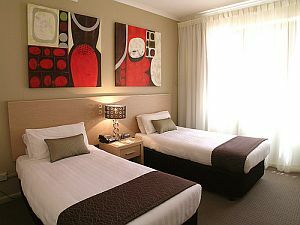 Every room features an ensuite bathroom, wireless broadband internet, Sky Television. Christchurch is a long way from the Mediterranean – nevertheless, the opulence of an Italian High Renaissance Palazzo awaits you ...	the Heritage Christchurch. 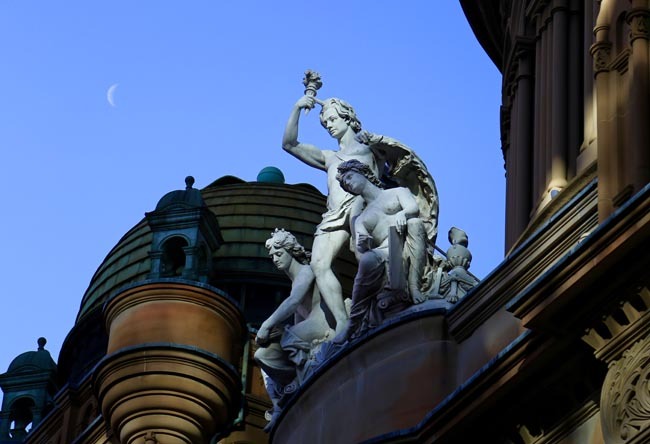 Designed by Joseph Clark Maddison and opened in 1913, the hotel is listed as a category one building on the Historic Places Trust Register, reflecting its status as a building of national significance. 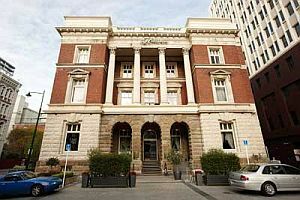 The hotel’s grand design is fitting: after all, Christchurch is regarded as the Garden City, and is regarded internationally for its culture and refinement. All transport, breakfast and dinner or lunch daily (hotels and local restaurants). All accommodation, air, land/water transport, sightseeing and entrance fees for sites noted as 'visited' in the detailed itinerary. Gratuities for local guides, drivers, restaurant staff, porters. Airport transfers for land & air customers. International airfare to/from the tour. Tour Leader gratuity, most lunches, drinks, personal items (phone, laundry, etc), departure taxes, domestic and international air taxes (if applicable). Airport transfers for Land Only customers. Optional trip cancellation insurance. Our post-reservation trip notes offer further guidance on optional meal costs, shopping. This trip is offered twice a year: in early and late austral summer. That said, many regions covered do not have 4 distinct seasons like most places in North America. 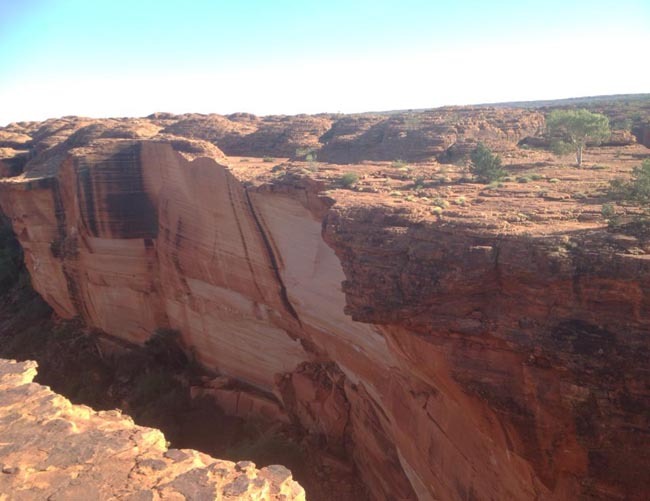 This itinerary covered a huge area and weather conditions experienced will be extremely varied. AUSTRALIA: Generally warm or hot everywhere; tropical at Cairns, and warm to hot with mild nights in the southeast. It'll be just plain hot in the centre. NEW ZEALAND: Again, quite varied north to south, depending on proximity to the sea. Generally milder than Australia, though we can still experience some heat. November is pleasant for wildflowers and green landscapes, while Feb-March will feature late summer conditions, perhaps with the start of some fall colour. We shrink the greater distances with scheduled flights on local carriers (Qantas & Air New Zealand). Locally, ground transport is provided by private air-conditioned motor coach. 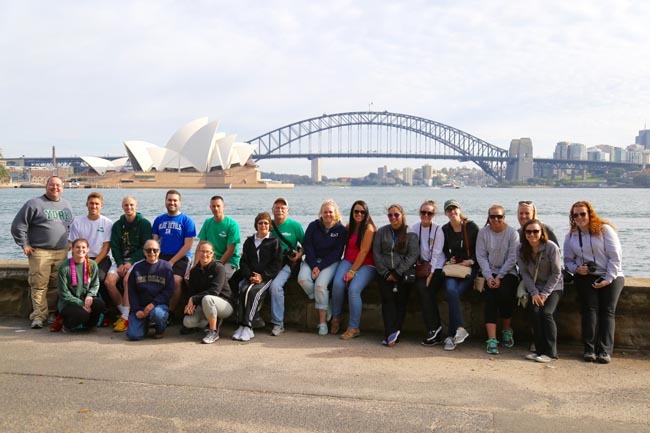 This is not a strenuous tour though it is busy, with plenty of moving around, full days of travel and/or sightseeing, and local city and town walking tours done at a leisurely pace. Though porters are available to assist with baggage at hotels, you must be independent with your luggage at airports. Well-located, air-conditioned, mid-range (3-star) hotels with en suite toilet and bath throughout (probably shower only). Single rooms are limited in number and likely smaller than doubles. 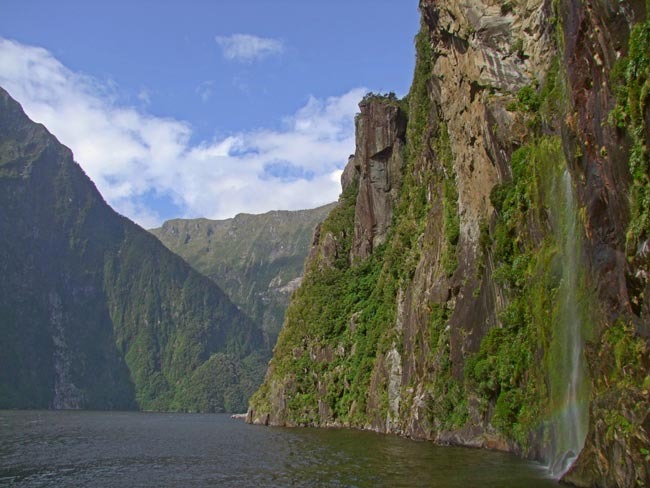 in New Zealand, the sound that we cruise can vary depending on space availability and other scheduling considerations. We board either the Fiordland Navigator (Doubtful Sound) or the Milford Mariner (Milford Sound), both of which feature private twin-bedded cabins and operated by our partners, Real Journeys (view the full itineraries and vessel descriptions at www.realjourneys.co.nz). 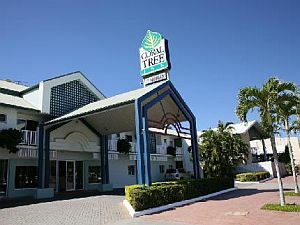 Our hotels in Australia and New Zealand are chosen primarily for location, cleanliness, security, and comfort. We regret that mid-range hotels in the region do not generally provide free wifi; it is available, but it may be costly. 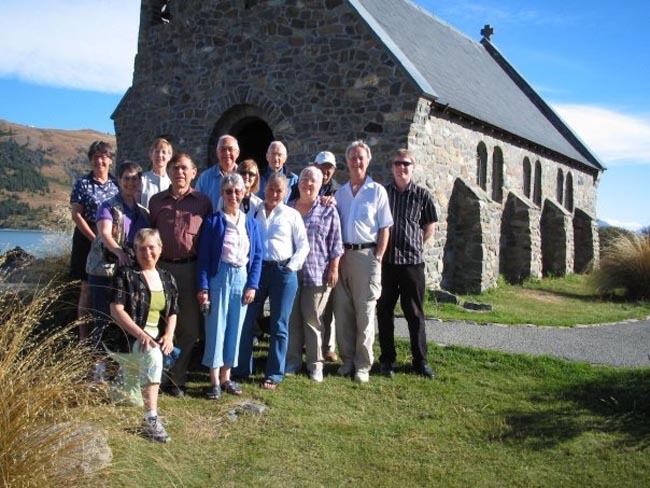 Tour Leader, coach captains, local step-on guides in several locales.